The goal of this mod is to increase built in memory up to 128MB to be able run more services on the router without the expense of accessing slow swap, etc. Beware, that this mod requiresvery strong soldering skills! And usual disclaimer: do it on your own risk to brick the router completely. What do you need to perform a mod? Please note, that Hynix is least preferred. Also, avoid using Infineon chips. The problem is that PCB is not ideally traced and has some noise UDQS line coming to U4, resulting in memory errors (see below). Start with flashing latest firmware which is known to support 128MB of RAM. My firmware starting with 1.9.2.7-7g are known to work ok, as they've required patches. But I recomend flashing latest anyway. This would turn U4 chip off and prevent my firmware from auto enabling it. The router would be halted too, so you could safely remove power from it. 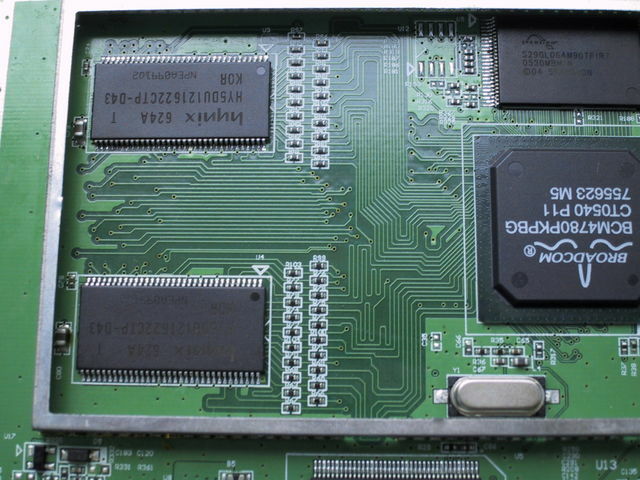 Replace original U3 chip with your new memory chip. 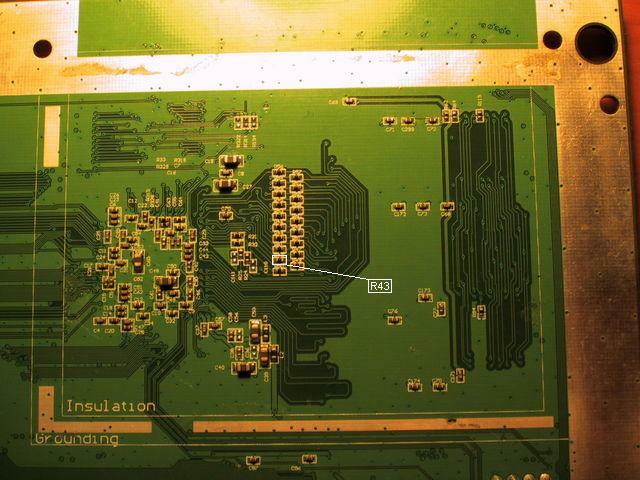 Be sure to remove PB free solder completely from the PCB pads before soldering your new chip! Power your device on. It should now start normally and report 32MB of RAM (use free to check this). Test RAM using memtest (see below). If it fails, then double check your soldering and try again. If it does not boot - check your soldering work once again. If it still does not work - I've no idea then. Don't blame me, this is ASUS PCB fault. Note, that memtest at most could only pin half of device memory. Replace 16m with 64m for 128MB of RAM. Simple perfect and outstanding - as usual! Good luck in upgrading your unit. For the first unit it took for about a two weeks to complete the mod: the problem was a hynix (and we have not figured yet that cap at UDQS could solve a problem) and PB free PCB. But finally, all routers are working fine. Try to find Elpida or Samsung chips. I beleive Transcend should be available in european stores too. Do you think I could solder the new ram chips on top of the original chips? That would allow me to select between the old and the new chips by resoldering the CS Pin. OK, no on top soldering. Do you know if I can install the latest x-wrt with 128MB Ram upgrade? Unfortunaltly for me, I failed to desolder the U3 chip (some pads has been destroyed). Before throwing my asus (RIP ), is there a solution for it to boot / work only with the U4 chip? my mod is working. I used Samsung ICs. Here you can find some photos. Maybe you can solder a small cable to the broken pads / pins. Can you post some Photos? Last edited by trucki; 17-02-2008 at 06:20. As for my Asus, I'm giving up, I don't think I could do anything now. Last edited by breizh76; 17-02-2008 at 18:00. I tried to install X-Wrt. With 32MB it works. It should be patched to detect 128MB correctly. Does it based on OpenWRT? If so, I've submited this patch to Kaloz for about a year ago. yes, X-wrt is an Openwrt Image with webif2 Interface. How can I include this patch? Where can I find more information about it?